It was my cousins 21st the night before and like all good parties, the next day usually involves food and some sort of recap of the events of the night. Groove Train was not my choice of venue, but seeing as I wasn’t driving my vote didn’t count this time around. Now Groove Train is a chain restaurant. There is one in South Yarra, another in Richmond and so on and so on. 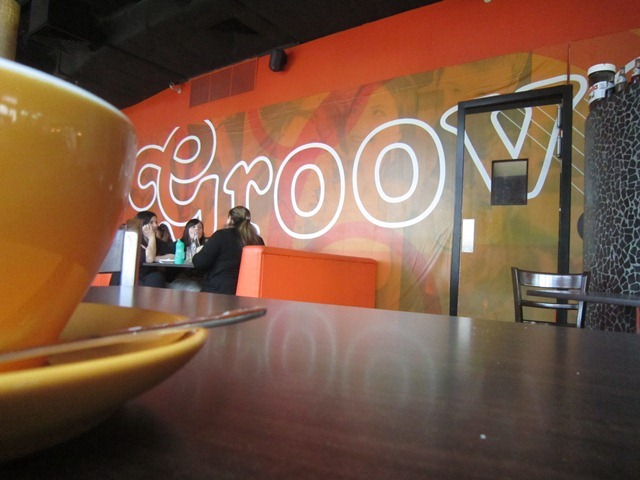 Therefore you can expect a place like this to have a slightly manufactured vibe, much like a Nandos or McDonalds does; only groove trains signature colour is orange, and boy is there a lot around one of their restaurants. I ordered it rare with the beef jus separate, having not eaten all day the 20 minute wait between ordering and receiving the food – very reasonable for a Sunday lunch mind you – was some sort of torture to my stomach. The waitress set down a plate in front of me, the steak was big, but that was the only positive to come out of the whole experience. I looked at it wondering where the char was, and cutting into it made it obvious that this was a terrible steak. No salt, no pepper, no anything. It was literally a pan broiled steak. It had that boiled meat taste with no flavour, no smoke and the beef jus did nothing to help. It was basically tasteless as well. 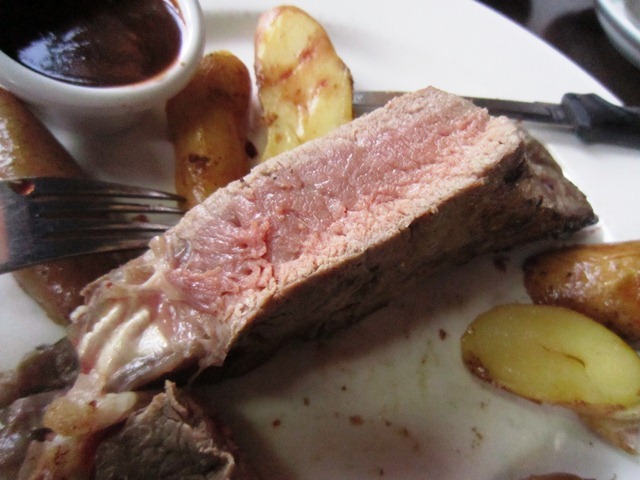 It was cooked rare, however the quality of the meat was torrid, a pale red being the end product of the rib eye while it was grey all around. After about ¼ I called the waitress over and addressed my concern. She kindly took it back to the kitchen and then came back with a ridiculous revelation; there was no char-grill present in the kitchen. Now, I don’t know what’s worse, the fact that the menu blatantly lies (a problem which the waitress brought to the manager, hopefully it is fixed), or the fact that the kitchen staff cannot cook, in my opinion, an edible steak. Just a quick side note, this is a review of the steak, not the restaurant in question, although I do not see myself ever going back. 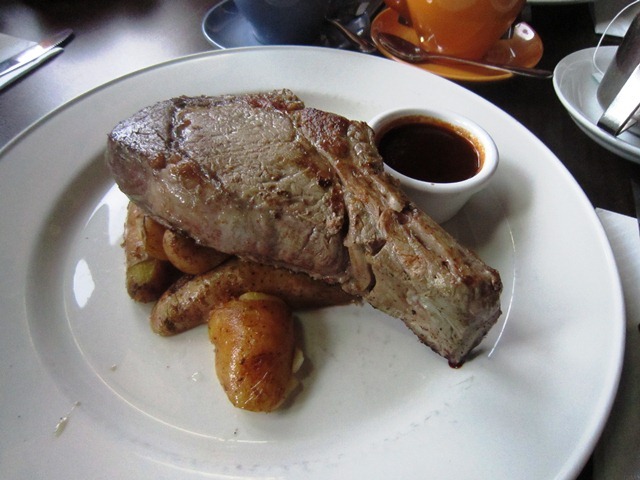 Posted on October 7, 2013 October 13, 2015 by AdrielPosted in Melbourne, MISteaksTagged Moderately Priced, Never Again, Only if you're forced, Rib Eye, Steaks. Oh and do go to TGI Fridays in Melbourne Central as people say that they do bad steaks there. I’m a big fan of good american cuisine and will have a look at making my way down there soon, thanks for the tip!